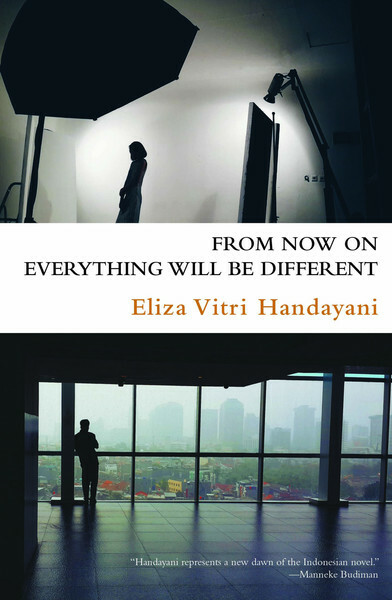 The launch of From Now On Everything Will Be Different by Eliza Vitri Handayani at the Ubud Writers & Readers Festival 2015 was cancelled after warnings from local police, ostensibly because of references to the 1965-66 massacres of communists in Indonesia. There are sensitivities best left undisturbed, it was thought. The cancellation raised a storm of protest about censorship and (in Australia anyway) a rehash of the historical events of 1965, publicity which seems to have defeated the censor’s purpose (if there was one, rather than just over-officious local intervention). (As you can see, WP could do with updating that bit about censorship). All these issues and events and more form the backdrop to the story, which also portrays the personal, professional and political aspects of a young woman’s feminist journey. Julita is a photojournalist who records responses to political events and also social changes amongst her generation, including relationships which don’t have the approval of conservative elements in society, including the parents of most of the protagonists. Her dilemma is summed up most succinctly when in Paris she realises that she can be the woman she wants to be without having to be a rebel, but that her quest to be herself is always going to involve struggle if she goes home to Jakarta where she is estranged from her family and considered a radical by many. Rizky, on the other hand has been pressured into becoming a doctor to fulfil the ambition that his mother was herself denied, but he wants to be an actor. These two characters – who were part of the demonstrations which brought about Suharto’s downfall – are politically aware and keen to see the momentum towards reforms. At the same time, they want the personal freedom to follow their own career ambitions and to avoid being pressured into cultural norms such as monogamous relationships and early marriage. It is only with each other that they are able to be completely honest, but neither of them wants the relationship to be anything other than a mutually supportive friendship. Inevitably there are misunderstandings; inevitably they find it difficult to sustain a platonic friendship along the same timeline. But From Now On Everything Will Be Different is not a romcom, far from it! Although politics is a key element in the novel, it’s not heavy-handed and the focus always remains on the two young people and their friends. As far as the censorship debacle is concerned, what I noticed – far more than any reference to the 1965-66 massacres (which I knew about anyway) – was the extent to which Indonesian social cohesion and religious tolerance has been disrupted in the Reformasi era. Although I keep an eye on current events in Indonesia, I hadn’t quite realised the prevalence of inter-ethnic and religious violence and also religious repression at the personal level. The book is not without flaws: there are grammatical errors which could have been avoided with the use of a professional translator or better editing, but on the other hand, the author’s occasional mistakes with tense and idiom give the English edition an authenticity which might otherwise have been lost. More problematic is the chronology of the novel: I’m quite used to novels which skip about from past to present, but I did find some transitions a bit confusing though not overwhelmingly so. Faced with the censorship of her novel, Handayani has responded by making excerpts widely available. See the Hong Kong based Asia Literary Review Vagabond Press, or her own website. The only other review that I could find was from Kerryn Goldsworthy who chose it as her ‘pick of the week, but you can see readers’ comments on Eliza’s blog. As a member of PEN (Melbourne) which exists to defend freedom of expression, I was keen to buy and to read Eliza’s book as a way of supporting a brave young author who lost a valuable opportunity to spruik the English edition of her book at an international festival. But in the end I read the book because it’s a really interesting book which brings to life what it’s really like to live in a country in transition from a military dictatorship to democracy. The characters are convincing, and their dilemmas engaging. I’d really like this book to be widely read by Australians: we tend to have a monochrome vision of Indonesia, and this story brings vivid colour instead. PS Oops, I nearly forgot to acknowledge Words without Borders, which is where I first heard about the fate of this book. I read so many reviews of books that I should read but never will. But I really appreciate that you read so widely and keep us abreast of what is available elsewhere, and especially NZ and Indonesia – which leads me to wonder, is there an indigenous literary scene in PNG? Now that’s a good question! I’m afraid I don’t know, and I don’t know how to find out either. I’ve read two books set in PNG by Australian expats but that’s all. Given their multiplicity of languages (850+), I’m not surprised to see that they have four official languages (I just looked it up on Wikipedia) i.e. Tok Pisin, an English-based creole and the most widely spoken, English (spoken by 1-2%, presumably expats and the educated elite) , Hiri Motu and Papua New Guinean Sign Language. WP also tells me that most people are illiterate, especially women, so I would hazard a guess that any indigenous writing would be by the educated elite, perhaps in English or perhaps needing translation. It would be very interesting to know more about this, thanks for raising it. I came back to read this after being struck by the cover when I saw your post this morning (I know, shouldn’t judge and all) and here I am reading it while the news reports are focused on bombings in Jakarta… small, sad world.